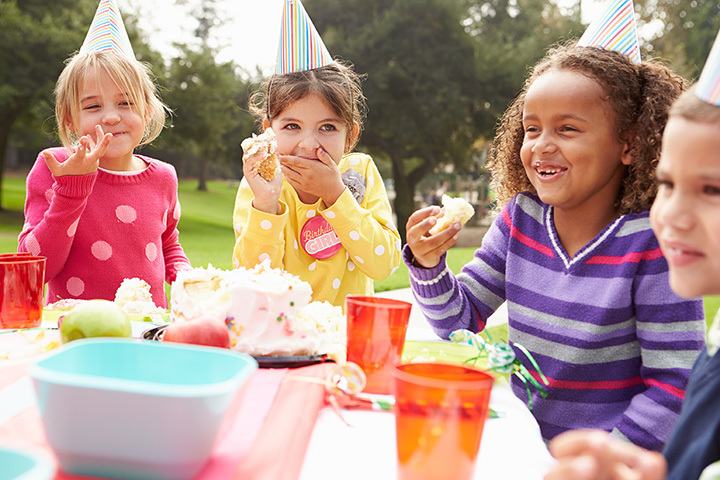 The 10 Best Places for a Kid’s Birthday Party in Rhode Island! Looking for a unique and memorable location for your kid’s next birthday celebration? In Rhode Island, you’ll find a plethora of creative options from martial arts classes, to baking parties, to interactive museums. Give your child a day they’ll never forget with these 10 great places for a kid’s birthday party in the Ocean State. Leave all of the party planning to World Martial Arts—they’ll host a structured party that teaches the kids how to do martial arts. It’s a lesson (and party) that the kids will be talking about for days after! Even if you’re a beginner who’s never painted before, you can come out of Paint Drops feeling like a master! Have a painting teacher guide the kids through a painting. Both kids and adults will love their new masterpiece! For around $175, book the dance studio for you and your guests. Dance instructors will teach a custom lesson to the kids—and provide the drinks and pizza, too! Want a unique experience for your child’s birthday? Have them learn to bake alongside all of their best friends at Petite Chef! The little bakers might learn to make pan-sized M&M cookies, cinnamon rolls, or maybe even brownie sundaes—all from scratch! Have your child’s birthday at a place full of discovery and fun! Kids can explore hands-on exhibitions and the birthday girl or boy will get a special museum t-shirt for their birthday gift. Paper cups, plates, napkins and utensils will all be available, too. Want to feel like you’re in your own great adventure book? Great for older kids, the RI Riddle Room offers a challenging escape game that will make use of your brain in an extremely fun way. You’ll have the whole crew going wild for your child’s birthday when you bring them along to the zoo! On weekends, you can also have the option to add an animal encounter to the birthday, making it a perfect hands-on experience for kids at any age! Even at a young age, has your kid always been an adrenaline junky? If so, host their birthday party at R1 for some rad go-karting! Don’t worry—the mini track is safe for children older than six and the trained instructors help you out with a safety video, too. For two hours, your child can be their own American Ninja Warrior! Kids can run around on the obstacle course, rope swing, or bouncy house, and even receive an hour of structured gymnastic lessons. You choose your preferred package, and Dream Big will figure out all the rest! By the time your kids come back from a Laid Back party, they’ll be all out of energy! Have up to 30 kids play around on a customized obstacle course, and when it’s time for cake, Laid Back will take care of all of the tables, chairs, table cloths, and water.